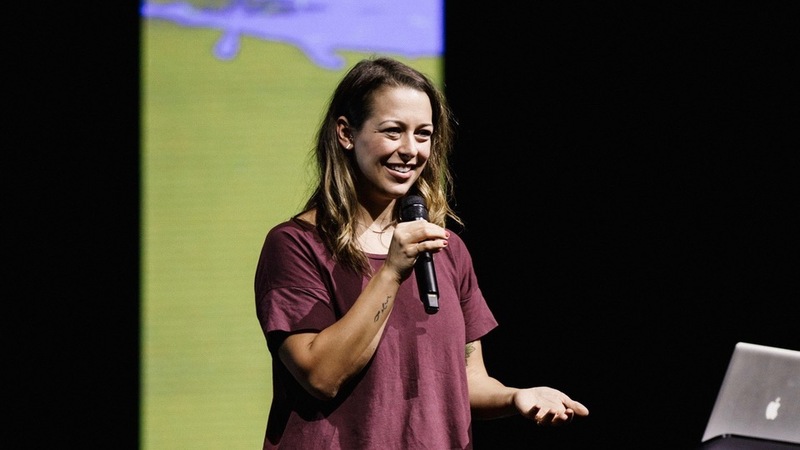 Kalley Heiligenthal teaches us that true leaders want to build up others, build a culture of worship, and serve the Body of Christ. Kalley hears these statements a lot: “I’m called to stadiums.” “I want to write a hit song.” “I want to lead worship.” But how’s your home life, what does your family think about you? What is your patience like? How is your kindness? How’s your inner world? “I’m all about stadiums, but I’m really concerned about the rest of it, because that’s where life is lived.” You may or may not write a hit song but you will work with people, that actually is our surroundings. I want to build people who have more than just a good voice and favor. You can sing good, but what are you going to do with it now? It’s the Parable of the Talents, you can bury it or you can build it. I want to build a people who are so secure in who they are as children of God that they can try and fail, they can try and succeed, they can afford to risk and be obedient to what God put only inside of them. I want to build a people who care deeply about others and walk in a humility that is evident to everybody. I want to build a people who are known by and submitted to covering, because if you’re only as good as your next opportunity, and not the quality of people you’re around, that’s a terrifying pressure. I want to build people’s gifts and skill set to be remarkably excellent and only surpassed by their heart. I want to build people who know how to lead themselves and know how to lead others. We are more than one trick ponies and one hit wonders. You may know you’re called to worship but you are also called to living healed and whole heartedly with purity and power. We need leaders that walk in and immediately raise the bar in speech, life, love, faith and purity. In 1 Timothy 4:12, Paul is talking to young Timothy because he’s being discredited for being young. Paul tells him it doesn’t matter if he’s young or not, but to walk in and set an example with his life. There are certain things only reserved for the corporate cry. Because when I read my Bible it ends with “Every tribe, every people, every tongue, every nation,” all together with one voice. (Revelation 7:9) It would seem that if that is God’s preference, If that’s how he wants to throw a party, we should figure out how to throw a party like that too. We want a room full of people that are worship leaders, not just three on a stage. We need to own the room, not just the three people on our team, because we are pastoring the room to host the presence of God and respond quickly to Him. It’s not hard to lead worship at Bethel Church because we have leaders who have gone before us and built a worship culture that we get to step into. I want to be part of building the next one. We want a culture of worship across the earth. We don’t just worship leaders, we want worshipers. Our number one priority should be to be connected to our leaders, live or die. The thought of doing this job not connected is terrifying, because I’m serving another vision. We want to do this together, we want this thing to be corporate. If we are expecting that from our worship leaders but we’re not one with the people we are serving, we have a problem before we start. Everything we do will be felt and repricated downward to others. We can’t be moving in different directions, because we won’t get where we need to go. I’ve taken it upon myself to be fathered. I stay available, and ask questions. It’s my job to think like my leader. We need to lay down our vision and pick up somebody else’s to serve that person well. I would hope that the people following me are doing the same thing. Some of the core values at Bethel are risk, valuing the presence, integrity of character, freedom, breakthrough, and sacrificial worship. It’s our job as leaders to see our church’s values and make sure we are pushing those further. We value risk at Bethel. People love the prophetic and spontaneous moments that we have here. These things will cost you. As a leader it’s not fair for me to just have it cost my leaders. If I’m going to ask somebody to do something, then I need to be prepared for it to not go well, and have it reflect on me, and not be insecure about it. Celebrate the try. If you want to walk in like rockstars where we all have it figured out, that’s not going to work. We have to create an environment where we really want to learn, that means we need to give feedback and radical encouragement. Skill set can be taught, but I have never seen such a radical change in someone than when they grow in confidence. I go out of my way to watch for what is amazing, so that at any moment’s notice I can give it away. Stuff like that changes people’s lives. And I’m expecting everyone I work with to be really open to any feedback I have. As leaders we need to choose other leaders based on the season God has them in, and not steal them away from that season. We make a mistake if we are pastoring worship teams but not pastoring the room as well. We need to make sure we’re choosing songs that serve the environment and not just ourselves. There is a difference between a corporate and personal anointing. I will do personal work with the Lord so that my spontaneous moments will not be me just processing my life upon you. We just need to know where are actually coming from. Competition and comparison only wants to steal from you and isolate you. We need sons and daughters that aren’t shook to their core by a good or bad set. We need to bring excellence, because He is worthy of our best. Come prepared and practiced. Be accessible, don’t be a clich. As leaders, we need to be mothers and fathers, not just sisters or friends. Siblings get competitive. We need to think generationally, desire for them to go further than us, and celebrate when they do. It will be costly. It’s about a Kingdom that is advancing to no end, and we have a mission that is bigger than ourselves.